Modern with hand-finished, distressed stainless steel case, "Damaged in Italy" through an exclusive aging process. 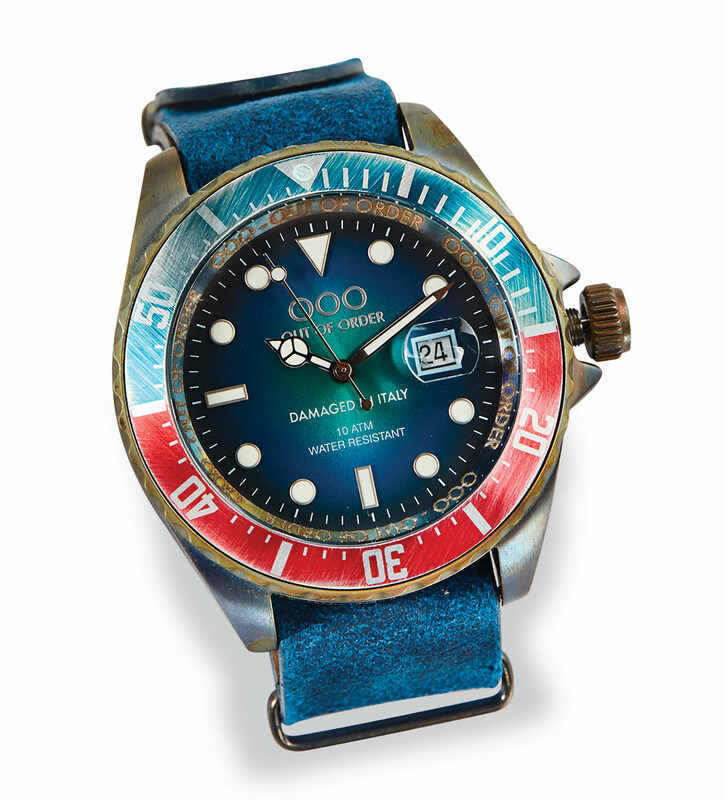 Blue leather strap, movable bezel, luminous hands, reliable movement, 44mm. Imported.